For Honor: different classes and their uniqueness. This is not the first time we write about “For Honor” classes on this website. We have mentioned some of the details about his game character classes in other articles for two or three times already. However, this time we are fully prepared to present each class as picky as possible. To start with, much needs to be said before we begin to discuss the classes. Firstly, For Honor is an action video game, which requires an internet access in order to be played. As we mentioned in previous articles, For Honor is developed by professional and well known group Ubisoft Montreal. First time, this video game was announced at the Electronic Entertainment Expo that took place in Los Angeles in 2015. Since then, more than a year has passed and finally, we can begin talking about the release date and more importantly, For Honor game details. Remember, February 14, 2017 is the big day, we will be able to open our computers or turn on PS4 and Xbox to play one of the most exciting games ever! In short, lets talk about For Honor gameplay and the main characters. As most of you have already discovered, For Honor comes with a huge bang, presenting three different factions. The first and the most impressive is the Vikings. Another faction that has the most powerful armors is Knights and the last and the most nimble one is a Samurai. Despite the fact For Honor classes are three, we decided to start from the Vikings. These fighters originally come from Scandinavia countries, such as Denmark, Norway, and Sweden. According to historical sources, they existed during the late 8th to late 11th centuries and was known as the ruthless fighters who can kill without no reason. Around the world, they always traveled with their own ships, which also worked as a perfect military tool during the fights in the sea. The Vikings were also known as brave, strong and handsome fighters with a long braided hair as well as huge, muscled body. A fight against such a giants always reminded a path to death. Of course, not only because their strong arms and well prepared For Honor weapons were able to overcome even the most violent ones, but also because their power to destroy was stronger that anyone would have thought. We are quite sure, this is a sufficient explanation why the developers of the game decided to involve the Vikings. However, if its not enough, we have one more explanation. According to the latest news, For Honor presents Vikings as the masters of the wide and dangerous sea. They claim, that this nation was created to fight and their souls are completely fearless. In other words, Vikings are unstoppable! Moreover, in the game Vikings will be also known as The Warborn. The Warborn faction is divided into smaller groups, such as The Raiders, Warlord, Berserker and Valkyrie. 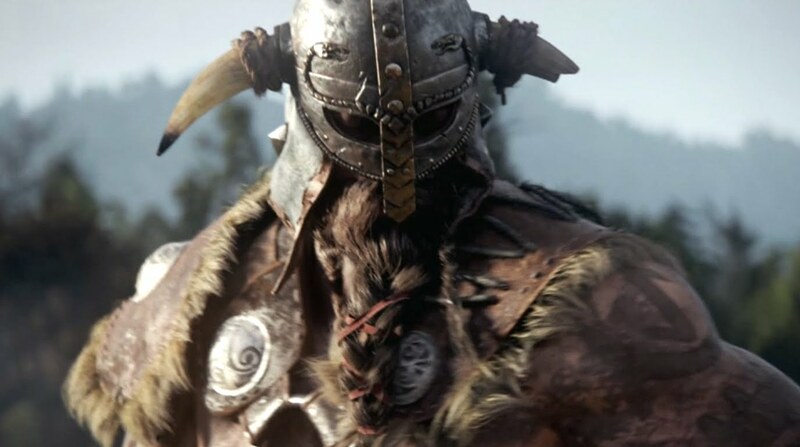 As you can see from the picture above, the Raider stands as the main leader of the whole Vikings gang. Not to mention, he is equipped with a professional, however, extremely heavy Dane axe and definitely represents the unbreakable spirit of a sea warrior. The warlord, who he stands behind the Raider is better known as a soldier from a heavy class. His body is covered with a full set of armors and his weapons are adjusted to defense. The last two, that stand behind Raider and Warlord has much in common, however Valkyrie are the mixed ones. Furthermore, the Vikings has an exclusive blazon that represents freedom, the individuality of their tribe and also their strong, fighting spirit. In Addition, the priority they give for two different colors, which dominates throughout all their clothes. Red symbolizes the danger and passion that leads all along the battles. Black means aggressiveness and death. All and all, For Honor classes of Vikings are quite impressive. What even to say about their courage and desire to occupy new lands as well as expand their nation as much as possible. As we knew much about the Vikings and their history, this time we cannot share the same amount of information when speaking about the Knights. As a character they are less known, however, it does not mean they have fewer opportunities to win or fight in general. 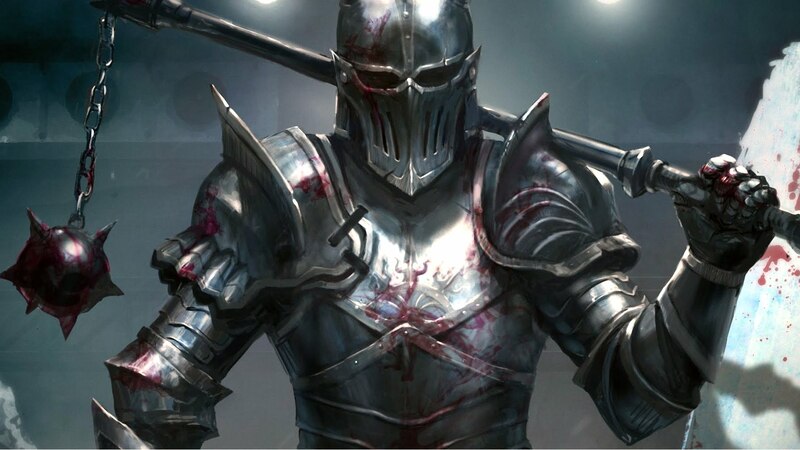 Knights are known as The Iron Legions and they have really great abilities as well as powers. When we mention powers, we do not have any mysterious creatures in our minds that can fight using miraculous spells. Actually, Knights are presented as stubborn and intelligent fighters, who can do whatever in order to win. What is really interesting, Knights strongly believes that their ancestors built most of the cities, castles, and was the founders of the world in general. For this reason the Knights have incredibly strong desire to beat all the Vikings and Samurai. In a word, they have the aim to recoup the lands, which they should own. Not to mention, according to the historical sources The Knights was disintegrated for hundreds of centuries, however, in this game they are all brought together in order to form one of the strongest factions from all - Iron Legion. Knights are also divided into four different classes, that each stand out of its own abilities and skills. The most powerful warriors from this group is called Warden. They are the ones, who are dedicated to their legion and fight until the last breath in order to keep their lands and soldiers protected from the enemies. Then we have Peacekeepers. Actually, we don’t need to say much, since their class name is quite informative. Third class is called Conqueror and the last is simply named as Lawbringer. We are not fully convinced whether you need a full description of all these soldiers, illustrated slightly above, since the picture perfectly represents them all. In short, For Honor classes knights has all, the most necessary soldiers, who is required for successful fight as well as for a faction in general. However, we almost forgot to mention one more important aspect. The same like the Vikings, Knights also have their own emblem as well as most used colors. Their emblem depicts their strong attachment and respect for ancestors, permanent protection and strict regime, which must be followed by everyone. Speaking about colors, Knights shows their knowledge and patience using yellow and their strong hope using dark green color. The same like Vikings, Samurai has a very profound history. First of all, Samurai is a Japanese soldier, that were also known as bushi during the middle ages. Usually, Samurai is presented as a strong tribe that has the leading lord and incredibly good strategy that helps to win against the most vicious enemies. In addition, Samurai has a unique fighting technique, which manifests by flexible movements, fast attacks and painful kicks. In the game, Samurai will be known as The Chosen. According to the developers and producers of For Honor, this time Samurai will come back as a new, and very powerful faction. Their squad will also have a new Emperor as well as staunch leaders, who will lead to all the battles and encourage to fight to the last breath. As well as the Vikings or the Knights, Samurai has their own purpose, to rule the world. What we like most, these militants have a very deep conviction. To tell you the truth, no one could change their plans or influence their thinking. This is a faction which has no connection with other nations and that stands out because of a greatest approach to the war. Last but not least, Samurai never fails to take unconsidered actions. They always think twice in order to make a final decision. In the picture above, you can see all four Samurai classes. The first one, is the Kensei. Actually, in the game they will play the most part, since they reflect the real strength of Samurai soldiers. Then we have Shugoki, Orochi and Nobushi. As a fighter they all have an excellent outfit as well as sharp and frightening weapons. Moreover, it is very easy to identify these soldiers, since they all have unique masks, which cover their faces completely. The same like the Vikings or the Knights, Samurai has their essential emblem that portrays different things. If we could describe them with a few words, they would sound like this: excellence, ferocity, courage. The colors you can see on their clothes also have an important value. Electric color represents their spiritual and immortal soul, while brown shows their perfect balance as well as clearness. There is no doubt, For Honor classes Samurai, It has excellent skills required for each fighter. Thus, have you already decide which faction you will choose to fight for? We understand this is a very hard decision, however you must think faster, since the game will see the daylight in less than two months! Want to get all the latest news about For Honor classes immediately after they shows up? Follow our website for further info.